The exploration in Philadelphia starts with a walking tour of old Philadelphia. First we visit the famous Independence Hall where courageous delegates from the thirteen colonies put their lives on the line by signing the Declaration of Independence; where George Washington was named commander-in-chief of the Continental Army; where Betsy Ross' design for the first flag was approved; and where the American Constitution was drafted - that's a whole lot of history in just one building! We continue our adventure with a visit to the new home of America's symbol of freedom , the Liberty Bell . Next, we stroll around to visit Philadelphia’s most important sites like the Executive Mansion; Carpenters Hall which is the site of the First Continental Convention where the 13 Colonies first met to unite into one country; Elfreth's Alley; Quaker Meeting House; Benjamin Franklin’s Post Office ; Betsy Rose's house; we will continue on to Christ Church where history is not a far off idea. Since 1695 through today, the building is still being used just the way it was when Ben Franklin, George Washington, Betsy Ross and William Penn attended services there. We continue with a visit to the site of Benjamin Franklin’s house sit and learn how Benjamin’s legacy continues to influence us today. We will learn all about the "blueprint" of American democracy at the National Constitution Center , where you'll see Freedom Rising , a multimedia production that tells the story of this extraordinary document. After this busy morning we have free time to enjoy lunch at the Reading Terminal Market . Lunch on own. In the afternoon we drive to Annapolis , Maryland, where we will visit the State House, completed in 1779 it is America's First Peacetime Capitol and the oldest state house still in legislative use. It was the site of nationally important events during the American Revolution, including George Washington's resignation as commander in chief of the Continental Army from the army, and the ratification of the Treaty of Paris. After this short visit, enjoy free time to stroll Annapolis picturesque Main Street. Dinner at Reynolds Tavern. Overnight in Annapolis (B,D). After breakfast we cross the Chesapeake Bay and follow General Washington’s route as a civilian to his home, Mount Vernon, Virginia . This is the estate that Washington called home for more than 40 years. He with his wife Martha Washington lived in the now most popular historic estate in America and the last reminder of the life and legacy of the Father of Our Country. Visit more than a dozen original structures, Washington's Tomb, 50 acres of plantation, working blacksmith shop, slave cabin and Washington's own invention of a 16 sided threshing barn among other interesting features of his home. Get inside Washington’s private life as we study colonial morals and visit the galleries that display original artifacts like the General's dentures which were made from many materials but never wood. The Educational Center showcases the painstaking research that culminated in the three most accurate likenesses of George Washington throughout his life as well as a realistic movie depicting the main battles of the General featuring chairs that rumble from canon fire and snow that fell during the daring crossing of the Delaware River. 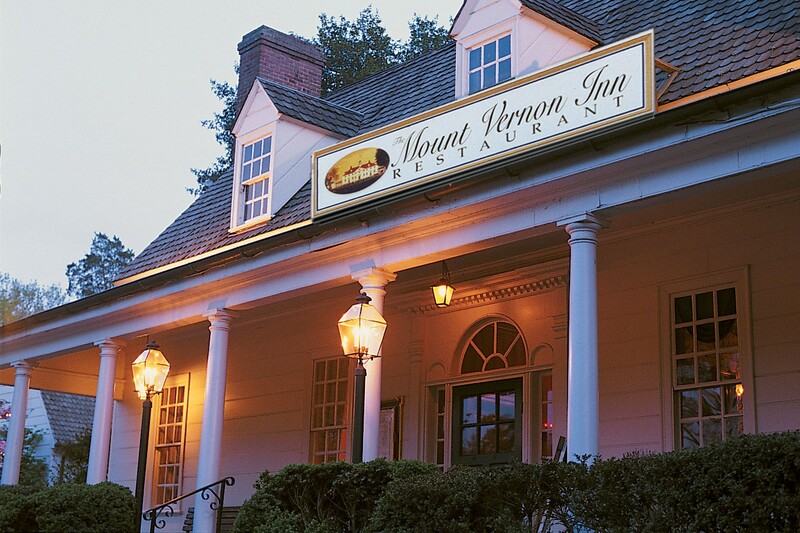 Enjoy free time for lunch at Mount Vernon’s Food court or try the peanut soup at the Mount Vernon Inn . Lunch on own. Afterwards we continue in the footsteps of Washington to Colonial Williamsburg where the General started his political career as a member of the House of Burgesses. 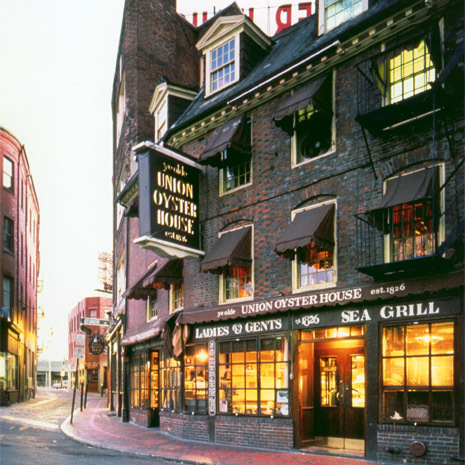 History is alive as we walk down the same streets, dine in the same famous taverns and frequent the same shops as Thomas Jefferson, Patrick Henry, Payton Randolph to name a few. Who knows, we may even meet some of them as we enjoy our evening tavern meal and living history night program . Overnight in Williamsburg (B,D). Experience life in the 18th century at America’s largest outdoor history museum. Colonial Williamsburg was the center of government education and culture in Colonial Virginia for most of the 18th century. The city exhibits dozens of authentic or re-created colonial houses and relating to American Revolutionary War. The main buildings include Raleigh Tavern, the Capitol , the Governor’s Palace among others. On the far side of Duke of Gloucester Street from the Capitol is America's second oldest college, the College of William & Mary . Chartered in 1697 by King William and Queen Mary, W+M has educated US Presidents like Thomas Jefferson, James Monroe, and John Tyler as well as 16 signers of the Declaration of independence and countless indian youth in attempts to enlighten our wild young democracy. This is a rare opportunity to experience history within a city that remains virtually unchanged from the time history occurred. We will take advantage of programs that have been specially designed by Colonial Williamsburg's education department. To make the most of your time at Colonial Williamsburg you will always be accompanied by a costumed Licensed Guide of Williamsburg to inspire you through language, games, anecdotes and knowledge of where to find the best colonial chocolate. Lunch and dinner on own. We finish our day with another exciting Colonial Williamsburg evening program. Overnight in Williamsburg. (B). The first stop this morning is Yorktown , VA. In 1781 this strategic place and battlefield was the stage were a British army commanded by General Cornwallis was forced to surrender to General Washington’s Army and French forces led by Comte de Rochambeau. This was the last major land battle and the victory that secured independence for the United States and significantly changed the course of world history. Since we are nearing the end of the tour and at the end of the war, we pay homage to the brave patriots at the Yorktown Battlefield Surrender Field before we head west to Monticello, home of Thomas Jefferson, the principal author of the United States Declaration of Independence and third President of the Unite States. Before visiting Monticello, we have a stop for lunch. 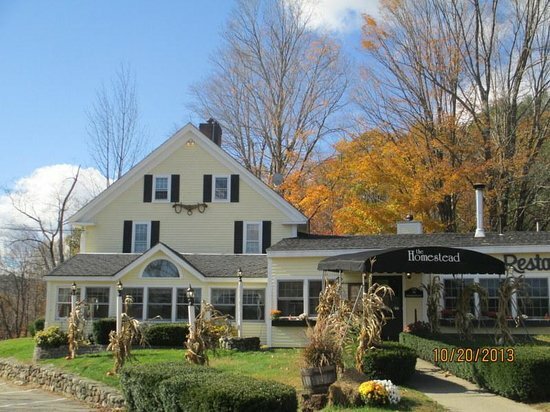 We will be welcomed at Michie Tavern and will be oriented through its history by taking a brief tour of the tavern followed by a dance class at the Ballroom where we will dance a lively colonial reel. Michie Tavern is a historic landmark and recreates 18th century tavern life and lets us experience a taste of the 18th century. We will enjoy a delicious lunch offering the best country fried chicken you ever had in your life, accompanied with mashed potatoes with gravy, beats, green beans, stewed tomatoes, cole slow, black eyed peas, corn bread, muffins, peach cobbler for dessert and to drink fresh apple cider or soft drinks. After this plentiful lunch, we visit the house that Thomas Jefferson designed as we discuss colonial architecture and the live of slaves in colonial Virginia. Jefferson was a student of the enlightenment and could not live without books. We will pay our respects at his grave before visiting the UNESCO World Heritage site of the University of Virginia. At Monticello, Jefferson accommodated travelers with food, drink and lodging more than 200 years ago, so as we shall dine at the base of Jefferson's "little mountain". In the afternoon drive north to Alexandria, VA. This is our last night of tour so we will enjoy a farewell dinner at Gadsby's Tavern . Overnight in Alexandria (B,L,D). Experience the sites of the Revolutionary War including Valley Forge, Philadelphia, Annapolis, Williamsburg, Yorktown. Tour the homes of America's first three presidents; Mount Vernon & Monticello. Walking tour of Colonial Philadelphia. Full access to Colonial Williamsburg, including evening programs. Airfare, Airport transfers, Personal expenses, Lunches (except as stated in itinerary), Travel Insurance.